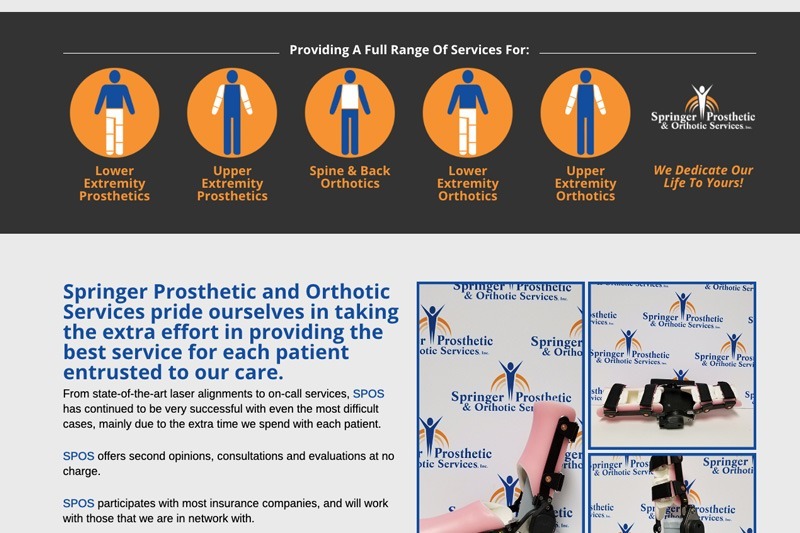 Springer Prosthetic and Orthotic Services (SPOS), offers a full range of prosthetic services for pediatric through geriatric patients. 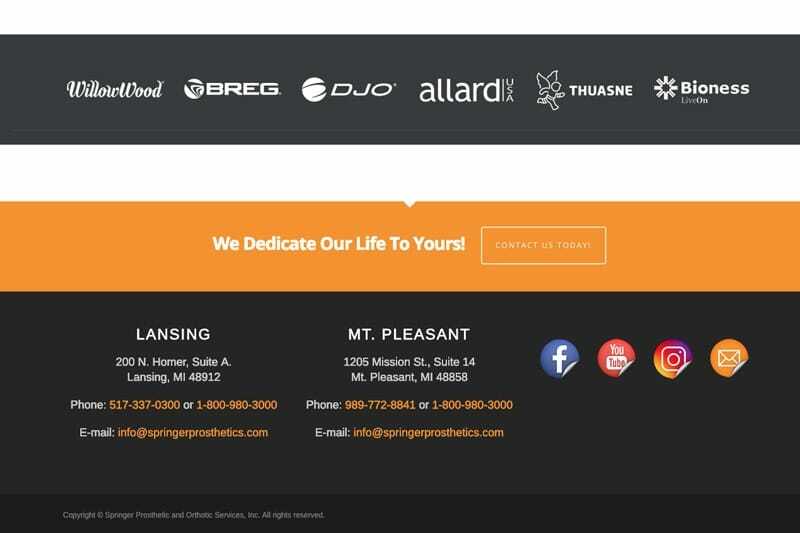 SPOS is located in Lansing MI’s Frandor area, halfway between the state capitol and the MI State University campus. 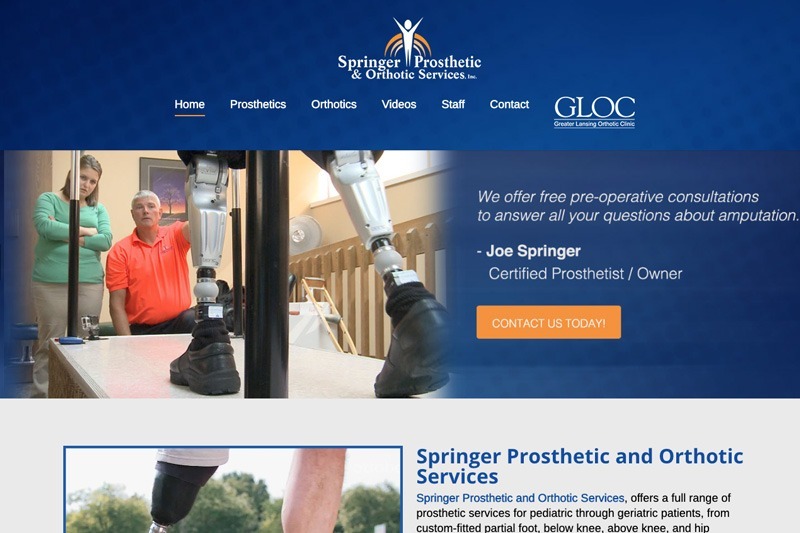 Future Media Corporation redesigned and enhanced Springer Prosthetic and Orthotic Services’ website to better fit its corporate image and to better serve its growing client list. 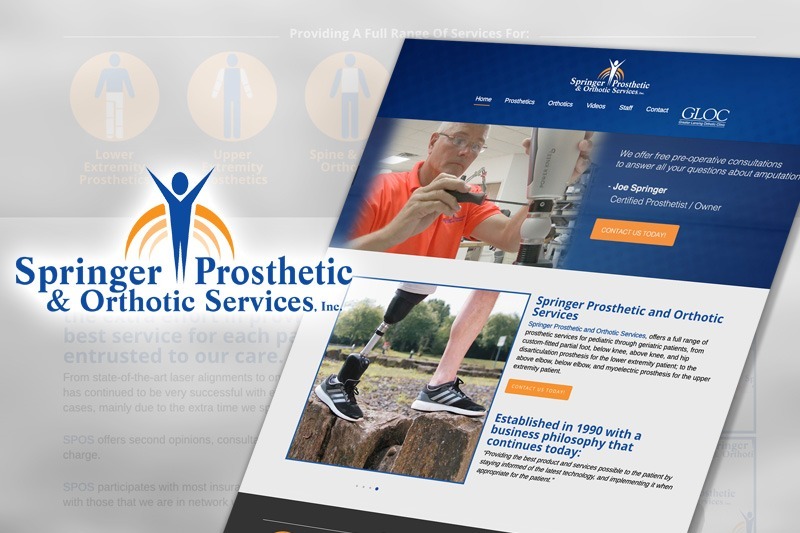 The SPOS site contains a complete list of services, client testimonials and informative videos for amputees. One of those videos is the 2009 award winning One Step At A Time video. Produced by Future Media Corporation, the video answers the many questions facing amputees by tracking a variety of active SPOS’ prosthetic patients who’ve been there done that for amputees and their families.